Wang Jialing (not her real name) has mounting debt equivalent to 10 years of pension payments. The second time Lu Chun tried to kill herself, family members caught her walking to the toilet with a belt in her hand. They took it away and started a vigil, making sure someone was always at her side. Then one afternoon, after 20 days of watching, her daughter left to grab lunch. Ms. Lu was alone only half an hour. 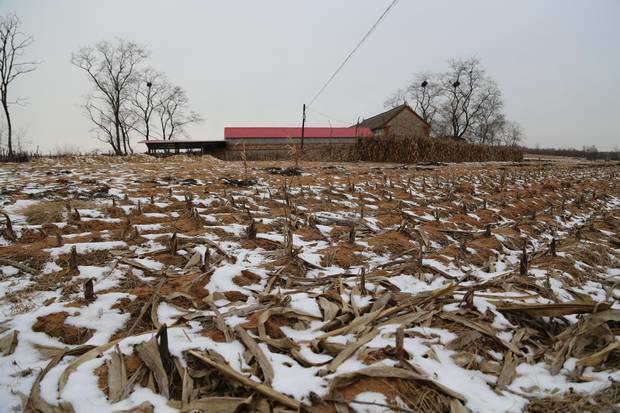 But by the time her daughter returned, she was dead, hanging in the back yard of the family's farm, another stroke in the grim tally of elderly Chinese who have killed themselves. China's economic transformation has brought wrenching social change, with a nation of farmers flocking to cities, and birth restrictions wreaking havoc on traditional family structures. Young people have abandoned ancestral villages, leaving their parents in the countryside – a generation now struggling with solitude even as its health deteriorates and its economic circumstances languish. The problems they face have manifested themselves in widespread incidents of suicide. In parts of rural China today, elderly people are killing themselves at rates exceeding those in South Korea, which has among the highest suicide rates on Earth. 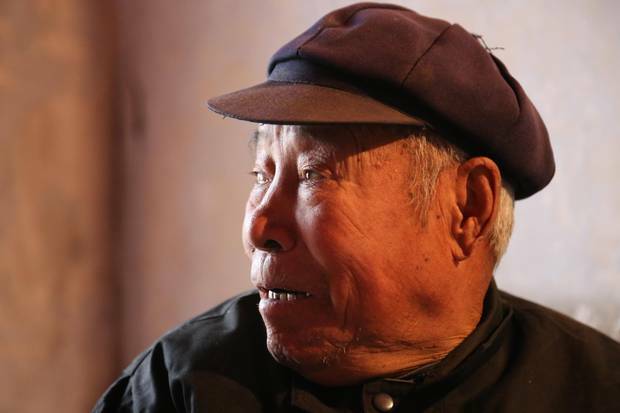 In some Chinese villages, nearly one in three older people end their own lives. But unlike the situation elsewhere, Chinese suicide is often not rooted in mental illness or substance abuse, but in negative life events – a fight with a child, the death of a spouse – or chronic stress such as that stemming from illness, long-term financial problems, or isolation from families. Ms. Lu was 70 when she killed herself. An introverted woman who had spent only a few days in school as a child, she spent her life raising children and feeding her family. 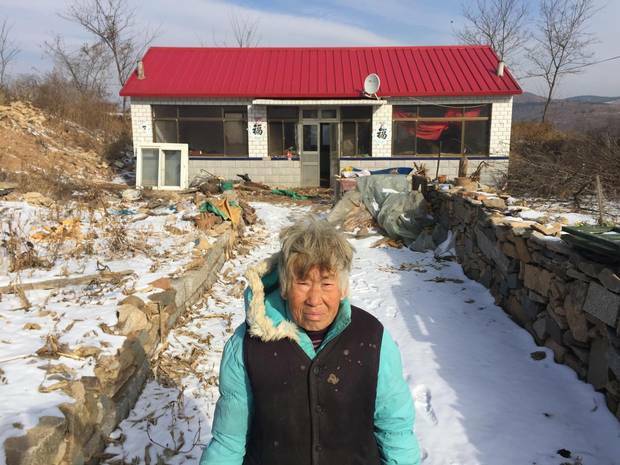 Her ancestors date back centuries in Sun Tun, a small village accessible by a narrow concrete roadway barely wide enough for a car to pass, in Liaoning province, not far from the border with North Korea. She and her husband built their own home, in the middle of a perfectly straight line of six cheek-to-cheek dwellings, their peaked tile roofs aligned. The furrows on the surrounding slopes bristle with the stubbled stalks of last year's corn harvest. Inside the family home, four bags of sweet potatoes are arranged on the floor, in front of a mirror decorated with a smiling Mao Zedong. This was where Ms. Lu lived. (None of the family members quoted in this article are identified by their real names. The Globe and Mail was granted rare access to rural Chinese villages to interview people about suicide on condition that the newspaper not disclose their identities, for fear of stigmatizing them.) But when she was diagnosed with throat cancer that local doctors said they could not cure, it became a place she wanted to escape. She could not eat, and could barely drink. "She felt bad that her disease was burdening her children and other rela-tives for so long," says her son, Qi Hongtong, who is now 52. "And she just couldn't bear the pain any more. She said that she didn't want to live." He is racked by guilt. "I didn't watch her carefully," he says. "It's been eight years. But I don't think this burden will ever lift." Tears come to his eyes as he speaks. But beside him sits his father, Qi Dalei, the man whose wife left no note or final words before she took her own life. Now 82, he feels no resentment. "We had no fights or quarrels," he says. "I understood her choice." 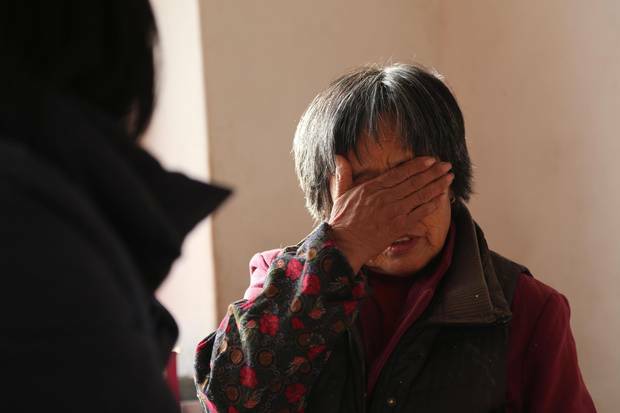 ‘I understood her choice,’ says Qi Dalei, whose wife killed herself at 70. Older Chinese are killing themselves, in other words, because life has grown unbearable. It's a stinging indictment of the country, and has taken shape after decades of single-minded economic expansion. China has only belatedly sought to address some of the human struggles that have emerged in the wake of harried growth. And elderly suicide is a problem that threatens to become more severe. Although not all international research organizations agree with its findings, the Chinese Academy of Social Sciences, China's most elite research institution, projects that by 2030, China will be the greyest society on Earth – surpassing Western Europe and even Japan. By that time, the elderly will make up 25 per cent of the population, up from 14 per cent today. In most countries, older people kill themselves at higher rates than their younger counterparts. China, however, faces a particularly serious problem because of the sheer numbers of people entering a stage in life when the risk of suicide rises. As a country, it's struggling to provide the services they need, particularly in rural areas. 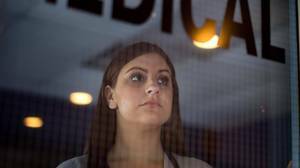 Outside urban centres, people are poorer, have access to less sophisticated health care – and very little mental-health care. Many are also isolated, living far from loved ones who have left for cities. Suicide among the elderly is driven in part by the widespread availability of cheap and potent tools. Despite efforts to regulate them, rural China remains awash with pesticides and insecticides that a struggling or morose farmer can access at a moment's notice. A small bottle of Paraquat, a widely used herbicide, costs only four yuan – 81 cents – and contains enough toxicity to fell several cows. A teaspoon can kill a person. In some areas of the country, "the thinking among seniors seems to be: You are old and have become useless to your children and yourself. You can't live independently. You are unable to taste the tea," says Jia Shuhua, a professor at Dalian Medical University who specializes in suicide. "So give up on life by swallowing the toxic drug." Suicide is also the product of anguish. Two years ago, when Guo Yongpo hanged himself at age 72, he was plagued by the sadness his family had already endured. One of his sons had died from a sickness the family had no money to treat. Another died after being bitten by a mad dog. Yet another, spurned by a wife who refused to live with him, drank poison and died. Mr. Guo once had four sons and a daughter. By the time he took his own life, three of his children were gone. "He was so sad," says his wife, Chang Yijue. "He could not escape the sorrow from the passing of his sons." Soon after, the couple's only daughter also died, of liver cancer. Ms. Chang, 70, says only one thing now keeps her from ending her own life. "If it weren't for my granddaughter, I wouldn't want to live any more, either," she says, standing in an unheated house on a day when temperatures had dropped to minus 9. A thin layer of water lies frozen in the bottom of the family cooking pot. The floor is littered with tools and garbage. "I don't have much happiness in my life," she adds. "The only thing I hope is that my granddaughter can go to university." Last October, China struck down the decades-old one-child policy that has taken a dramatic toll on the nation's aging population and ailing economy. Here's a closer look at the impact of those changes. For decades, discussing suicide in China was taboo. State newspapers made no mention of it; authorities made it illegal to publish on the topic. In a Communist country, the death of a citizen by her own hand seemed the ultimate condemnation of the state's ability to care for its own. Not until 1990 did China allow national suicide numbers to emerge, tucked into mortality rates it reported to the World Health Organization. But it took until 1999 for a senior Chinese official to mention suicide in a public forum for the first time. When, in 2002, Michael Phillips, a Canadian, published the first international paper investigating suicide in China, self-inflicted death was the country's fifth-largest cause of mortality and its No. 1 cause of death by injury, killing 287,000 people a year. The numbers came as a shock to people in China – and to the country's leadership. In the years that followed, China has made significant headway in battling suicide. It has funded suicide-prevention centres and organizations devoted to awareness, research and treatment. It has rolled out basic health care to most rural areas, and offers basic income assistance that, while small, offer a measure of support to the poor and ailing. In rural areas, Chinese authorities have also sought to curb the availability of pesticides and, in some areas, installed farm lockboxes to secure toxic chemicals. A stronger economy, meanwhile, has funded better social services, much-improved health care and, for many, a powerful sense of hope. To a significant extent, these developments have helped. From 1990 to 2013, according to statistics maintained by the Institute for Health Metrics and Evaluation at the University of Washington, the overall Chinese suicide rate fell by 67 per cent. When all ages are averaged, a man in Canada is now almost twice as likely to kill himself as one in China. But suicide among China's elderly remains alarmingly common. Among China's oldest men, for example, suicide rates have fallen half as fast as in the broader population. An 80-year-old man in China today remains eight times more likely to take his own life than is the average Chinese citizen. Those 80 and over are three times more prone to suicide than are Canadians he same age, and more likely to kill themselves than their counterparts in either Japan or Taiwan. And the greying population threatens to undo some of the gains China has made against suicide. The total number of annual Chinese suicides fell by half from 1990 to 2013. But among those 60 and older, more people are taking their lives today than a quarter-century ago – suicide rates are declining, but the elderly population is growing at such a fast clip that the actual number of suicide deaths has in recent years begun to rise in older age categories. If current trends hold, so many older Chinese will kill themselves in the coming years that Li Xianyun, director of the Suicide Study and Prevention Centre at the Beijing Huilongguan Hospital, is concerned it could reverse the decline in the country's overall suicide rates. "I worry about that," she says. The challenge for China is to "do something in advance, so that we can delay, or maybe prevent, this kind of increase." In fact, China has struggled to address suicide among its older population. One suicide hotline designed for elderly people in the eastern province of Zhejiang closed after only a couple of years, having run out of money and local support. But even successful suicide-intervention services have found it hard to reach the elderly. A hotline created by Ms. Li's Suicide Study and Prevention Centre has, in 13 years, fielded over 240,000 calls, with workers trained to talk people back from the ledge. Most of those calls, however, have been from young and middle-aged Chinese. The elderly often don't know about the service – and sometimes question its value. Wang Cuiling has worked at the hotline since the beginning and now serves as its senior director. Two years ago, she spoke with a 72-year-old man who called in before the Lunar New Year, a happy holiday that brings families together. For this man, it was a time of "even more misery and sadness," Ms. Wang says. His wife had died, and they had no children. He suffered from diabetes, high blood pressure and the after-effects of a stroke. The man said he planned to overdose on anti-depressants, begging Ms. Wang: "I have no way to keep living. Please do something. Please convince me otherwise." But when she called back a month later to check in, the man said he no longer wanted to talk: A faraway voice on the phone couldn't cure his ailments, keep him company, or cook him food. "You can solve none of the problems in my life," he told Ms. Wang. "So don't ever call me again." In rural provinces such as Liaoning, people are poorer than in the cities, have less access to health services and very little mental-health care. China's most stubborn suicide problems persist in the places it is worst equipped to help – its vast rural areas. Researchers at Wuhan University conducted a study of 40 villages in 11 provinces, and found that over the course of the past two decades, the rural-elderly suicide rate had risen from 100 per 100,000 to 500 per 100,000 – and now stands at roughly 50 times that of the general population. In some villages studied by Liu Yanwu, a lecturer at Wuhan University, 30 per cent of elderly people kill themselves. Rates that high are not universal in China; in many places, they are much lower. But the villages that Mr. Liu studied offer a shocking example of the toll suicide takes in some areas. "The old men in rural China just can't escape from the fate of suicide. This may be the unique way for them to get relief from the pain of the modern aging society," he told China Youth Daily, a Communist Party-run publication. 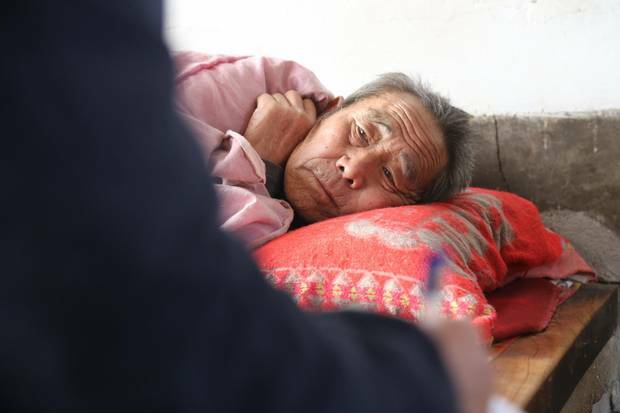 Some rural elderly people engage in morbid math: If a person faces a 30,000-yuan medical bill, and can expect 3,000 a year in farm income, it's only worth living if he expects to survive more than another decade. "We each have three sons here," one old man told Mr. Liu: the Medicine Son – a reference to suicide by pesticide; the Rope Son – hanging; and the Water Son – drowning. "These three sons are most reliable." In a measure of how touchy the subject is, Mr. Liu and his colleagues declined repeated requests for interviews. Some officials in villages The Globe visited were worried they would lose their jobs because of the newspaper's reporting. 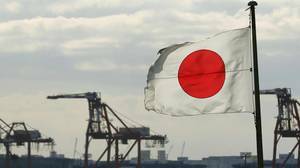 It has one of the world's highest suicide rates, but Japan has worked hard in recent years to change that. For World Suicide Prevention Day last November, it took its plan a step further. Here's how. When Zhu Jianjun began studying psychology in 1988, he joined an exceedingly small group of Chinese people with an interest in mental health. Between 1980 and 1995, China graduated just 87 people with master's degrees in psychology. Their rare training did not make them popular. At the time, "if one went to the therapist, he would be seen by others almost like a psychotic, a mad person," says Prof. Zhu, a leading academic at Beijing Forestry University who is now one of the country's pioneers of psychological instruction. One of the reasons that China's rural elderly struggle, he says, is that they have little access to people who can help. Scholars date the history of modern psychology in China to 1920, the year Bertrand Russell came here to travel and speak. In lectures in Beijing, the philosopher introduced some of Freud's theories to his Chinese audience. But mental-health care has been slow to develop, interrupted by the Cultural Revolution – when universities were closed, and psychology denounced as pseudo-science – and only revived in the 1970s. Even when universities began teaching the subject again, few people were interested in studying it. It was not until 2002 that the Chinese Ministry of Labour proposed the first national regulation on the qualification of counsellors. The decade that followed saw an explosion in interest: Prof. Zhu estimates 600,000 people have secured government-approved qualifications. But the rush to mint new counsellors often resulted in slapdash training – and, he estimates, it's unlikely that even 10 per cent of them are actually offering therapy. Some have found work in human resources or matchmaking instead. Psychiatrists, too, are in short supply: China has 1.53 psychiatrists per 100,000 people, according to data from the World Health Organization, lagging far behind neighbours like South Korea (5.12) and such developed nations as Canada (12.61). The elderly in rural areas of China have least access to such therapists, most of whom are uninterested in working outside of cities, or are worried villagers won't have money to pay or won't be interested in their services. "Many don't believe what they can offer will be of value to people out there," says Prof. Zhu. Bridging that gap, he says, will require Chinese governments to treat mental services as a kind of public welfare, and spend accordingly. 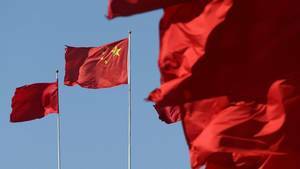 To do that, though, authorities must confront a widespread belief that China, in its decades of minting new wealth, has bought immunity from mental ills. "Although we have limited economic development here, people actually score quite high on a happiness index," one local official told The Globe and Mail. "They can clearly feel society's progress and constantly receive benefits from it." Prof. Zhu disagrees. When it comes to China's mental health services, he says, "the social need is definitely very great – and an aging society will make it much more obvious in the future." Bed-ridden with bone cancer, Wang Jialing’s husband lies in the family home. 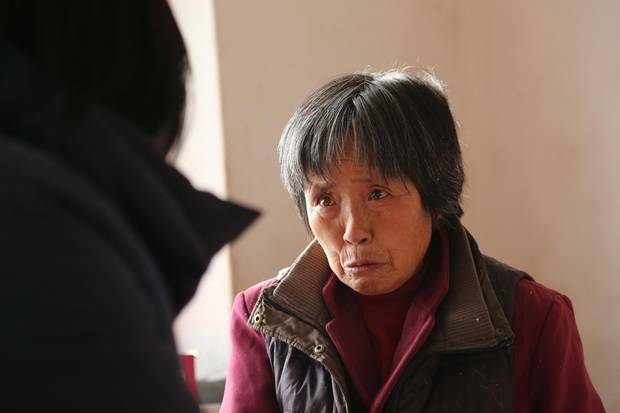 Wang Jialing sits next to her bedridden husband, who has bone cancer and struggles to sit up. She looks at Prof. Jia, the Dalian Medical University academic, who has come here to inquire about her situation, and describes the bleakness of her life: a daughter-in-law who killed herself, an injured son who is unable to work, mounting debt already equivalent to 10 years of pension payments, insomnia that keeps her awake most of the night, and family obligations that, at 72, force her to rise every day at 4 a.m. to cook food. "This is no way to live. I have even thought about killing myself," she says. Prof. Jia listens, as she has in many other Chinese households. The talkative and fiercely independent academic is unusual in China: a woman who has made a career of understanding stories like this. She has personally interviewed some 580 families. But she is unusual for another reason, too. Her diagnosis of China's suicide problem extends beyond the social dislocations and loneliness that plague the elderly. What she often sees is a profound emptiness – and she has now made it her mission to fight that, incorporating unconventional methods into her intervention with families. Sitting in Ms. Wang's small, cold house, Prof. Jia asks, "What kind of faith do you have?" "I don't believe in anything. I think God has no eyes," the old woman replies. Prof. Jia takes her by the shoulders, and directs her gaze out a window, where the wan winter sun filters in. "Imagine that the Buddha is right there where my hand points. You have to pray to him," she says. "Just tell him, 'I'm fed up. I have been living an honest life. Can you please help?'" But for Ms. Wang, it's hard to see past her life's bitterness. "The moon and stars are in the skies. Why has nothing opened its eyes to see how much tragedy this family has endured?" China, Prof. Jia says, needs to mount a multipronged attack on rural suicide. People need to better understand that mental-health problems, like physical health problems, require attention. People need access to care, education in the symptoms of depression, and medication when needed. Mental-health services in China lag far behind what's needed. "China is a developing country that lacks the strength to properly care for suicidal people," she says. But, Prof. Jia argues, her research has shown a need for something more, too. As a country, China has brought hundreds of millions out of poverty and filled bellies with food. "But our hearts are not full. Our hearts remain poor," Prof. Jia says. Seniors take their own lives "because they feel life has no meaning." 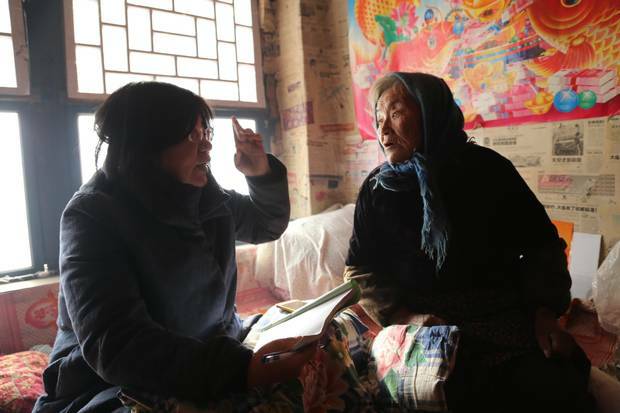 Jia Shuhua of Dalian Medical University speaks with an elderly woman whose husband killed himself. Two years ago, she converted to Tibetan Buddhism. "It's completely because of my suicide research," she says. Along with education and better medical care, she says, the solution she proposes for China is a radical one in an atheist state. The Communist Party chased religion away. Now, she says, it needs to help encourage its return. "If I was the minister of education, what I would do is add a section to students' textbooks on the meaning of life. It doesn't matter where the doctrine comes from – it could be Confucian, Buddhist or Daoist – but it would replace the calls to love Beijing's Tiananmen, or the theories of Marx, Lenin and Mao Zedong," she says. "A person can know nothing about Mao, but at least he can love his life." Prof. Jia turns to Ms. Wang. "Pray for kindness for your husband, for your son, for your grandchildren," she says. "Keep praying, keep repeating. And cry if you need to." Nathan VanderKlippe is The Globe and Mail's correspondent in Beijing. Open minds: How to fix Canada’s mental health system Too many patients seeking diagnosis and treatment are falling through the cracks – at tremendous economic and human cost. But it doesn’t have to be this way, Erin Anderssen reports in a Globe series on improving mental-health research and treatment.